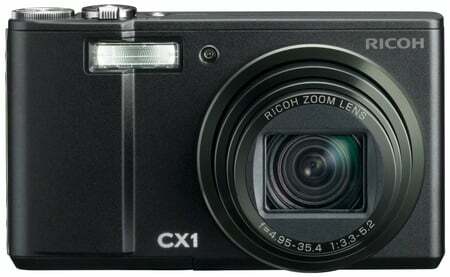 Ricoh will next month roll out its latest high-end compact camera, the CX1. 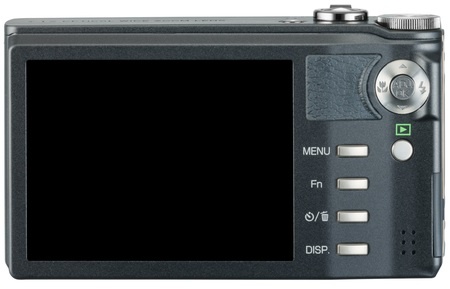 Ricoh's CX1: more to it than megapixels? For once, the megapixel count - it's 9.39 effective, by the way, on a 1/2.3in sensor - wasn't highlighted at at the announcement. Instead, Ricoh touted the CX1's "highly evolved" image processing system, the Smooth Imaging Engine IV. One result: the CX1 has a dynamic range that's equivalent to 12 EV. It's also capable of combining two shots of the same subject with different exposures, ensuring - Ricoh claimed - that the whole of the image is correctly exposed. It'll shoot at 120f/s, and sports an autofocus capable of taking seven shots of the subject in rapid sequence, each at a different focal length - you just then pick the pic you like best. All this comes alongside a 7.1x optical zoom, 28mm wide-angle lens and 1cm macro mode. There's a 3in LCD on the back and 88MB of memory for picture storage - SHDC cards of up to 32GB capacity can be added too.